Welcome! Ramsier's Inc. is a family owned and operated business run by Dan & Melinda Ramsier. As a teen Dan started working for the Cleveland Quarries in South Amherst and worked his way up into apprenticeship in the stone carving shop. In his late 20's Dan decided to start his own business with the help of his parents. 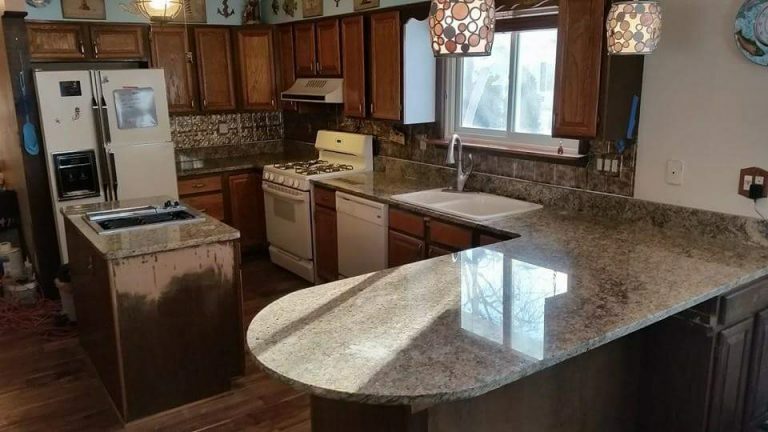 In 2006 he found commercial property and started the process of becoming not only a sandstone shop but opening as a granite countertop shop also. In the meantime Dan met Melinda and they started a family, they have two boys and when their youngest started school Melinda came on board and opened the Monument & headstone part of their business. They have a show room over at Jamie's Flea Market that you can check out every Wednesday & Saturday from 8-4pm in the center building, booth 2. Now a days you can find both Melinda and Dan working alongside each other at their shop on Rt. 113 across from Sliman's Lumber.